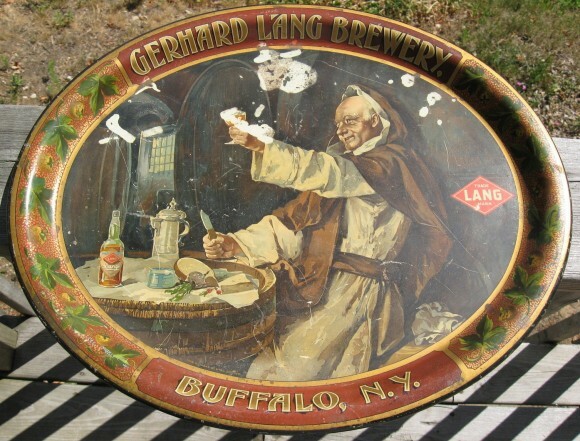 Serving Tray for Gerhard Lang Brewery out of Buffalo, New York. Showing in the center a Monk in a beer cellar holding up a glass of the Brewery’s Lager. Highly detailed also showing a table with food and a bottle of lager.